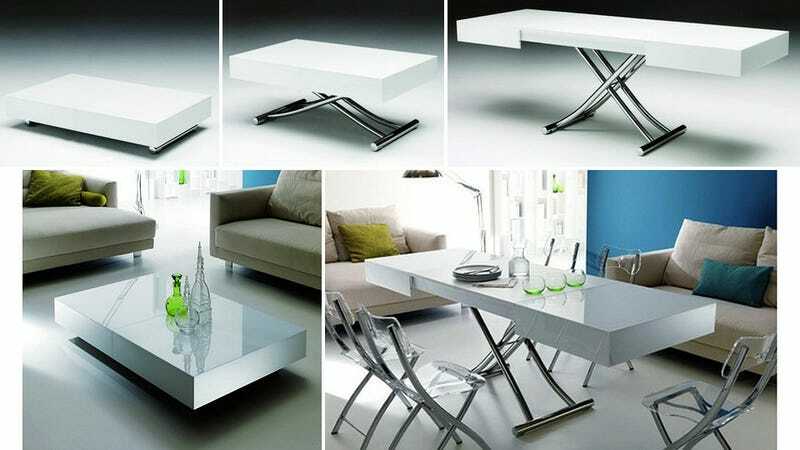 You'll never have to break out the TV trays or ask your dinner guests to dine off their laps with Ozzio's beautiful transforming coffee table. One moment it's sitting low to the ground making it the perfect accessory for your living room set. And the next a gas lifting device brings it up to dining height while an expanding surface provides enough capacity for what looks to be at least ten guests.